Conjoint analysis is a popular method used to direct and optimize product or brand development. Values that are analyzed through conjoint are attributes such as price, color, guarantee, environmental impact, reliability, ingredients, taste, feel, and more. The results from thorough conjoint analysis allow companies to predict product performance in areas that were not tested. Did you know Survey Analytics has a conjoint segmentation feature that is fast, easy to use, and provides a graphical representation of your data collected? 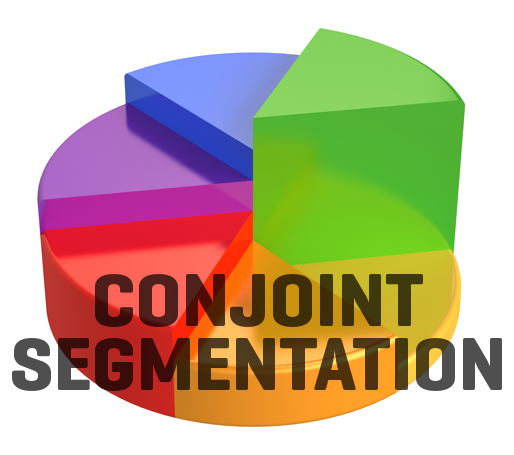 Conjoint segmentation allows you to divide a market or sample into groups with similar values i.e. males or females and compare their results. Segmenting the sample or market helps target the direction for product development, where you rank among the competition, and pricing strategies. You can easily set up your segmentation values and enjoy the powerful reporting and analytics tools. The data you collect can be downloaded in Excel/CSV or HTML format. Currently in development, a future goal of Survey Analytics is to be able to provide a model of individual part-worth utilities in conjoint analysis. However, calculating the part-worths of each individual today takes a lot more time and computing power than the average researcher has to spare. With the powerful conjoint analysis tool from Survey Analytics, you can add your logo, get full custom control in formatting, and receive multi-lingual support (over 75 languages). Survey Analytics recently held a webinar on Chainsaw Conjoint. In case you missed out, click below to see the webinar replay and get access to the slides from the presentation.